Detective Conan and Tumbang Preso ran earlier this month. Meanwhile, The Pirates and Little Azkals: Pursuit of the World Cup Dream will be shown exclusively at selected SM Cinemas on October 25. Bandits meet pirates in the adventure movie The Pirates. An envoy is travelling from China to Korea carrying the royal seal when accident strikes and the seal is swallowed by a gray whale. 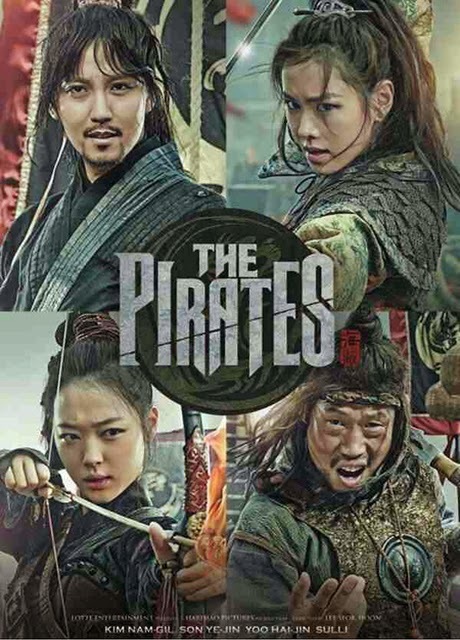 With a great reward being offered for the return of the seal, Jang Sa-jung leads the search with his group of mountain bandits when they encounter female pirate captain Yeo-Wol on sea. Join Jang Sa-jung and Yeo-Wol on a sea adventure as they search for the gray whale and the royal seal. Note: e-Plus tap to pay card holders will receive a discount on all cinExclusive movies.